Waterproof your Sensored Brushless Motor, a simple and short How-To! Home/Electronics, Tech & Tips/Waterproof your Sensored Brushless Motor, a simple and short How-To! With the upcoming Speed Passion sensored waterproof esc: The Aventador will come in both 40A and 80A variants, we teach you how to waterproof your existing Sensored brushless motors in preparation for this esc! 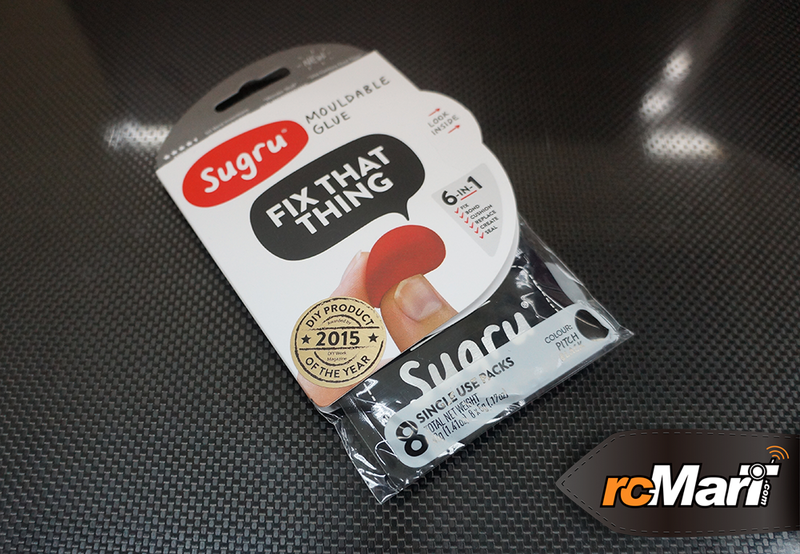 Introducing the Sugru, the item which makes this waterproofing project possible! What it really is: is a sculpt-able rubber like substance which will cure overnight. What makes it good is that it will keep it’s elasticity but will adhere to the surface you applied to as well! Being a rubber like substance which you can mold into any shape you want, we saw that this would be the perfect material for waterproofing sensored motors as it will allow you to fill all the nooks and crannies of the sensor board! In this blogpost we will go through how to do that with Yeah Racing’s XTA sensored brushless motor and the up and coming Speed Passion Aventador Waterproof Brushless sensored esc which will come in both 40A and 80A! First, take apart the front motor can assembly with a 2mm hex driver. You will be able to see the sensor unit, remove the three 1.5mm hex screws on the back cover to fully remove the sensor unit. Then apply small amounts of Sugru to the exposed circuitry, we found it was easier to make small balls with the Sugru then apply it with your finger and press it into the chips on the circuit board. Make sure to measure the amount applied and not apply too much so that it touches the rotor. You can check this by placing the rotor onto the bearing as shown in the photo below, you can see there is still a gap between the Sugru and the rotor. On the backside, all you have to take care of is to make sure the Sugru doesn’t come into contact with the bearing. After applying the Sugru reassemble the sensor unit and attach the sensor cable. Apply liberal amounts of Sugru to the surroundings of the sensor cable. Let it sit for a night and it will cure and become fused with the applied surface. However will still retain the flexibility! That’s all that’s required to make your sensored brushless motor waterproof, even though the sensorboards in different motors will be different, but the main thing to do is make sure you cover all exposed micro chips on the sensor boards and sensor cable and you will be fine! There is also the added benefit of reinforcing your sensor cable as it forms another protective layer ontop!